Real-time availability of key figures yields a 5-10% efficiency increase across 16 plants. The Intersnack Group, one of Europe’s leading speciality snack manufacturers, uses Factory MES to seamlessly monitor their production and processes and to review their key production figures in real-time. This allows the company to continually improve its production processes, making them more cost-effective. Crisp, crunchy and fresh, these are the words football star Bastian Schweinsteiger uses in a TV ad to promote the delicious potato crisps of market leader funny-frisch. 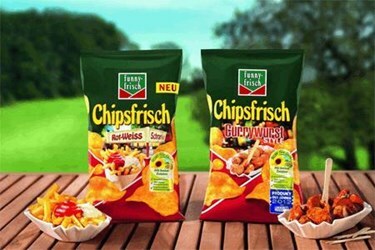 Spicy snack specialities produced by funny-frisch, Chio, ültje, goldfischli or POM-BÄR have been delighting millions of people for decades.